Day of the Dead Costume fun! Yes, yes, when am I NOT thinking of Mexico? 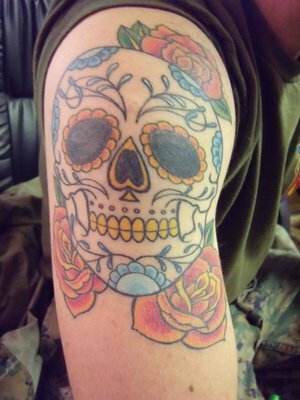 However true that might be, with Día de Los Muertos fast approaching, I thought I would share what I've been up to! It's been fun scouring for items to fulfill my vision. I had created these little watercolour illustrations (below) to narrow down my options for my Glamorous Skeleton La Catrina. I've decided to go with the Big haired Mother nature version on the left. What do you think? My sketches for La Catrina, (Day of the Dead Skeleton). Probably the most iconic figure, La Calavera Catrina ('Dapper Skeleton', 'Elegant Skull') was made famous in a 1910–1913 zinc etching by Mexican printmaker, cartoon illustrator and lithographer Jose Guadalupe Posada. The image depicts a female skeleton dressed only in a hat befitting the upper class outfit of a European of her time. Her chapeau was inspired by French and European styles of the early 20th century. She is meant to portray a satirization of those Mexican natives who, Posada felt, were over embracing European traditions of the aristocracy in the pre-revolutionary era. 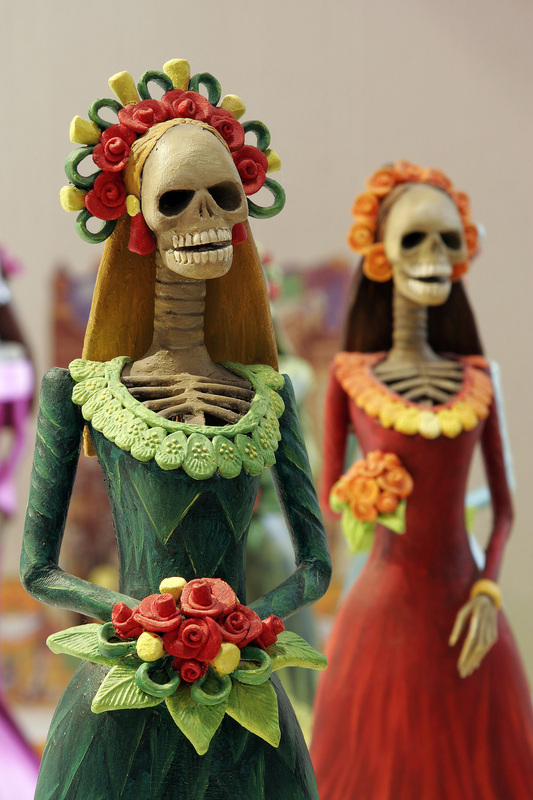 El Día de los Muertos is ancient indigenous ritual that has merged with Catholic theology and is now celebrated in most parts of Mexico and even foreign Mexican communities. The belief is that the gates of heaven are opened at midnight on October 31, and the spirits of all deceased children (angelitos) are allowed to reunite with their families for 24 hours. On November 2, the spirits of the adults come down to enjoy the festivities that are prepared for them. 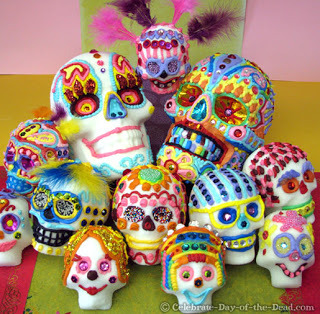 Today, the symbol of the sugar skull (calavera) has ended up on almost everything imaginable from tattoos to nail design to paper plates and diapers... Sugar art was brought to the New World by Italian missionaries in the 17th century. The first Church mention of sugar art was from Palermo at Easter time when little sugar lambs and angels were made to adorn the side altars in the Catholic Church. I'll post photos of my finished costume!